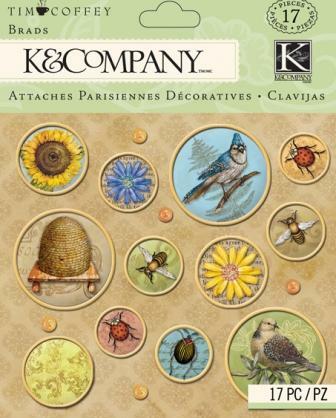 K&Company metal art is crafted with fine detail to add unique dimension and luster to your projects. In an instant, metal art turns your creation into a keepsake! Crafters love how metal embellishments stand the test of time, and Amy Butler metal art is no exception. Exquisite designs add style and grace to these fun and functional brads-perfect for layouts, tags, or even for the home office! 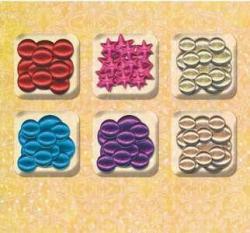 These fabric-covered brads detail the colors and patterns of the Amy Butler Lotus line. 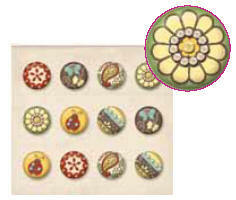 These fabric-covered brads detail the colours and patterns of the Ancestry line. 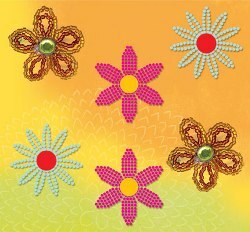 Scrapbookers love how metal embellishments stand the test of time, and Classic K Margo metal art is no exception. 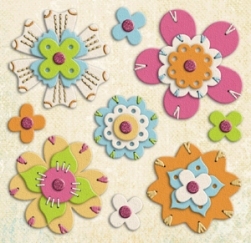 Exquisite designs add style and grace to these fun & functional chipboard brads which are perfect for all your projects. Elegant designs and quality craftsmanship add style and grace to these metal arts. 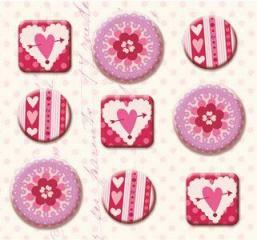 Perfect for any crafting project! 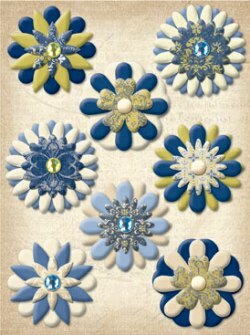 Elegant designs and quality craftsmanship add style and grace to these fabric arts. 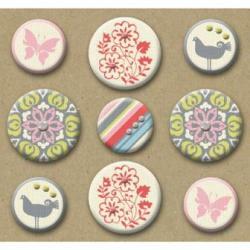 Perfect for any crafting project! Create stunning projects featuring the radiant natural world highlighted by these Tim Coffey Foliage Collection Brads by K&Company. 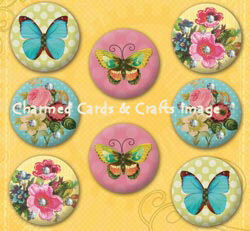 Beautiful blue birds, red and green insects, yellow flowers, and leaves of all species come forward in each icon and into your scrapbook pages, cards, gifts, decorations and much more. Non-adhesive. Includes 17 brads in varying sizes. 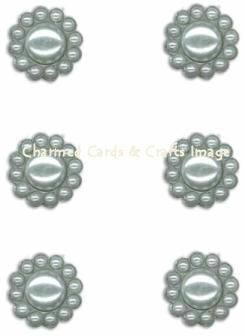 hese Metal Brads perfect for card making, scrapbooks, gift wrapping, decorations and more. 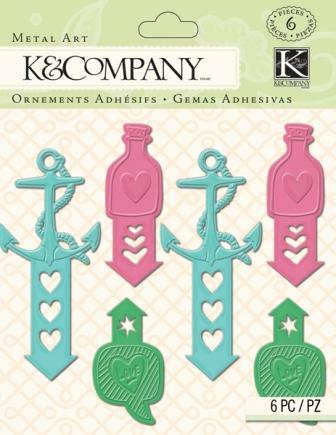 Features love-inspired symbols including anchor, home and message in a bottle - all with heart accents. Non-adhesive backs. 6 pieces in varying sizes. 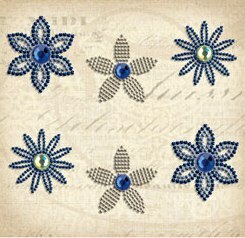 Crafters love how metal embellishments stand the test of time, and Cut 'N Paste metal art is no exception. Exquisite designs add style and grace to these fun and functional brads-perfect for layouts, tags, or even for the home office! 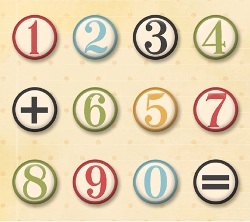 These fabric-covered brads include numbers and symbols. 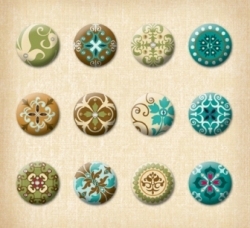 Crafters love how metal embellishments stand the test of time and Que Sera Sera metal art is no exception.